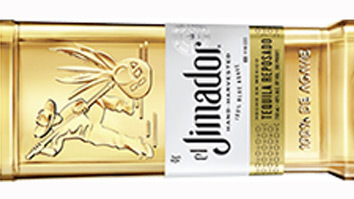 Jimador is the name given to the master harvesters of the Weber blue agave plant from which tequila is made. Of all the artisans who pour their heart, soul and skill into the making of our tequilas, it is the jimador who most perfectly embodies the hard work, dedication, spirit and pride that distinguishes our family of products. Which is why we proudly honor him with our name. In doing so, we fully embrace the authenticity, energy, quality and passion for life that goes into every bottle of el Jimador tequila. It has made us the number one 100% agave tequila in Mexico* and the tequila of choice for people all over the world who believe in living 100%. We invite you to join the celebration. Drink it. Live it. Share it.